Your generosity serves the needs of our parish family and the wider community through the ministries of worship, education, and pastoral care. Contributions to St. Peter’s can be given in person, by mail, and online. All donations are tax deductible and each helps fund the ministry of St. Peter’s as we reach out to more and more people in love and service. From pledges and contributions to Christmas Flower donations, you can pay or donate online for any event all in one place. Shop at Schnuck’s with eScrip, where St. Peter’s will earn up to 3% of your purchase amount. Getting started with the My Schnucks Card program is easy. Register your card online at http://www.escrip.com/schnucks or by calling 1-800-931-6258. Shop at Amazon Smile where Amazon donates 0.5% of the price of eligible smile.amazon.com purchases to St. Peter’s. 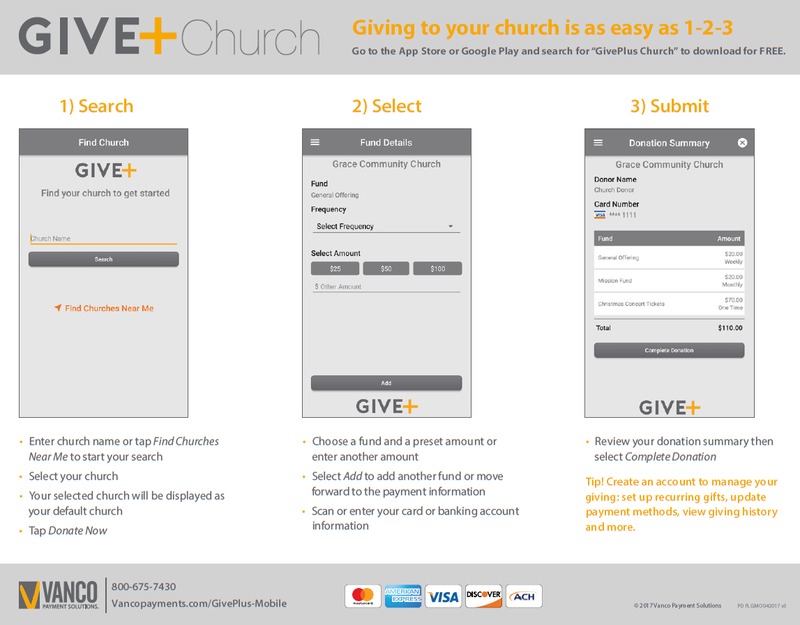 St. Peter’s now offers a mobile version of our online giving page to make it easy for you to give anytime from your smart phone. Go to the App Store or Google Play and search for “GivePlus Church” to download for FREE. Then, follow the instructions below to give.